I’ve recently been appointed the UN Food and Agricultural Organisation’s European Special Ambassador for its Year of Pulses, and I’m happy to shout about such undervalued ingredients when they have so many benefits and taste fab.Where did the idea that you have to wear hessian and live in a yurt to enjoy lentils come from? Thankfully we Brits are finally seeing the light and appreciating how other nations create really tasty, zippy dishes with lentils, throwing aside their old, rather stodgy image. 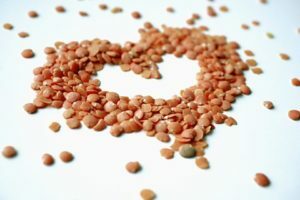 The fact is that lentils are not just good for you and your pocket, but with a little imagination and a few tricks, a simple pot of lentils can be transformed into dozens of truly mouthwatering meals. A portion of lentils is 100g unless otherwise stated. 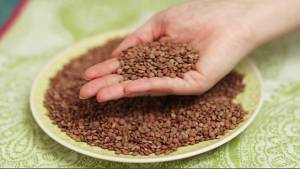 Lentils contain more iron than chicken and steak, but their iron is harder to absorb. Combine them with vitamin C (such as a good squeeze of lemon juice) to increase iron absorption. Can lentils really help me lose weight? 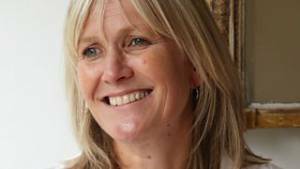 There’s no way that I could keep up a ‘fad’ diet that left me feeling deprived or hungry. Instead, bring on the lentils and all the other pulses that fill me up, releasing energy slowly and keeping me feeling satiated for hours, and there will be far less chance of a trip to the biscuit tin. What I love is the fact that there’s no dieting or counting calories, just slightly changing the way we eat. A recent report (in the American Journal of Clinical Nutrition) showed that eating one portion of pulses a day can lead to modest weight loss. Another recent report (published in the journal ‘Obesity’) showed that people feel 31% more full after eating a meal containing pulses than they do after eating a meal without them. 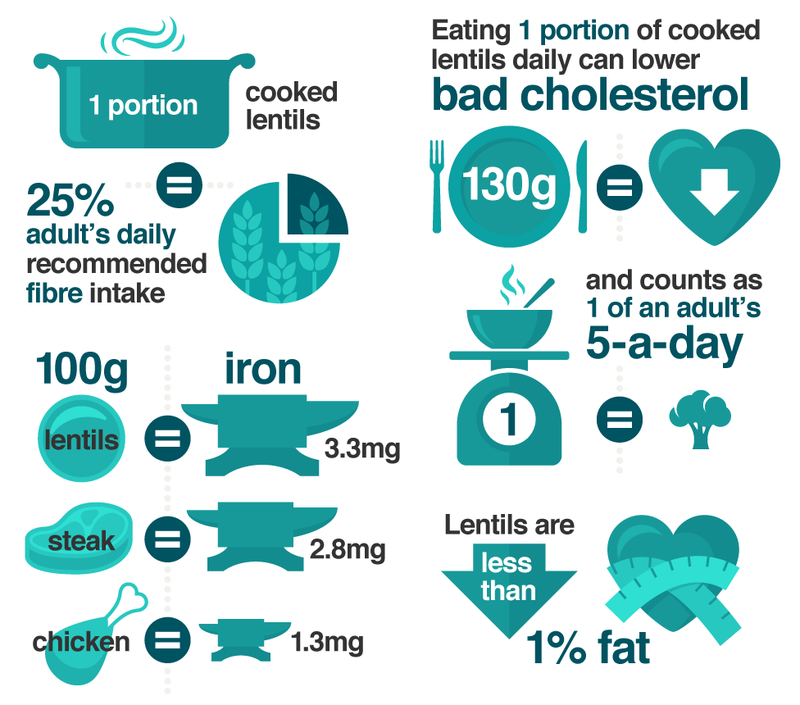 Lentils are a great source of fibre and this helps you to feel fuller for longer. 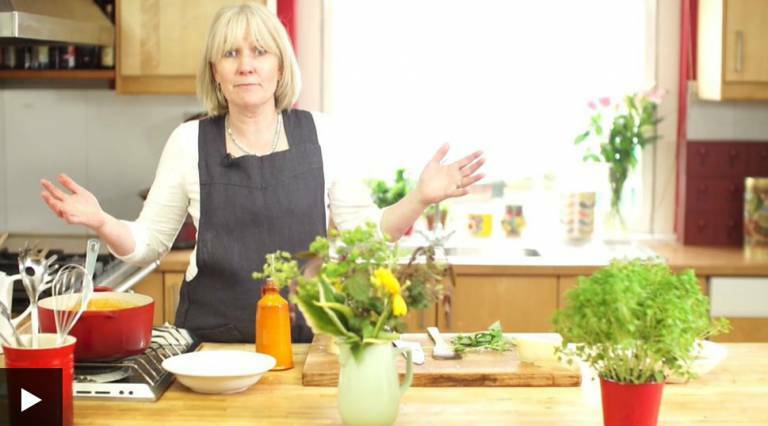 Cook a pot of lentils at the start of the week and then turn it into three moreish meals. Watch this short video to find out how. For all these tasty recipes click on the ‘Lovely lentil recipes’ link in the “Where next?” section below. We know lentils are good for us, but we sometimes struggle to turn them into a simple, cheap, tasty meal. 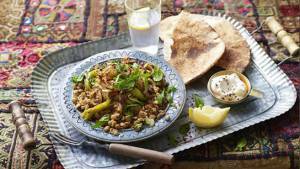 This recipe brings the earthy flavours of the Middle East to a pot of brown lentils. To get maximum flavour from the onions, you need to cook them low and slow. Thinly slice the onions. Heat the oil in a large frying pan and add the onions. Cook over a low heat until they are soft and golden. This can take 20 minutes, but don’t rush it – soft and sweet onions are key to this dish. Now it’s time to add extra flavour and a nice kick of spice. Start by finely chopping the garlic. 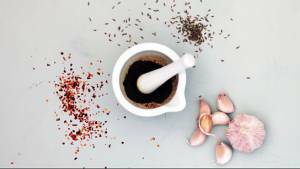 To get more flavour from the cumin seeds, toast them, then grind them in a pestle and mortar. You can add as many or as few chilli powder flakes as you wish. Set aside half the cooked onions and add the garlic, cumin and chilli to the pan. Stir and, as soon as you can really smell the garlic, it’s time for some lovely lentils. 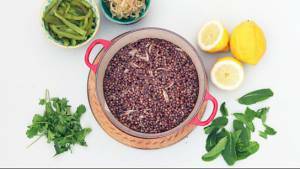 Brown and green lentils hold their shape during cooking, making them perfect for this recipe. Add the lentils to the pan and add enough water to cover them by 5cm/2in. Bring to the boil and then turn down to a simmer. Cover the pan and cook until the lentils are soft – this can take up to an hour. You may have to top up the water if they look dry, but don’t add too much – you don’t want to drain away any delicious juices later. 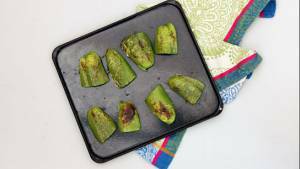 Add extra sweetness and flavour with some grilled peppers. Remove the cores and seeds from the peppers and cut them into quarters. Preheat the grill to high. Grill the pepper quarters skin-side up until the skin is blistered and blackened, then transfer to a resealable plastic bag. Set aside for 5—10 minutes, or until the skin has loosened from the flesh. Once the peppers are cool enough to handle, peel off the skins, thinly slice the flesh and set aside. Once the lentils are soft, it’s time to add some final touches to really bring the dish alive. Have a taste and season with salt, pepper and enough lemon juice to really freshen up the dish. 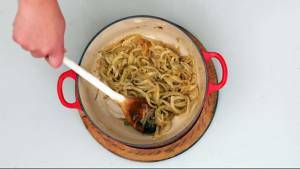 Stir in some coriander leaves and garnish with the remaining sweet fried onions, grilled peppers and mint. Once you are satisfied with the seasoning of the dish, it is time to serve it up with warm flatbreads and a generous dollop of Greek yoghurt. Enjoy!